In most traditional environments, data is backed-up and sent off-site at regular intervals, which takes time to restore systems in case of a disruption or disaster. Transferring data to and from Alibaba Cloud OSS takes place through the Express Connect network, making data easily accessible from any location. This simple architecture creates a backup of your existing architecture on the cloud using Alibaba Cloud OSS. Transferring data to and from Alibaba Cloud OSS typically occurs through the network, and is, therefore, accessible from any location. The backup and recovery scenario on the public cloud is achievable via a storage gateway installed on a user’s on-premise virtual machine and is responsible for configuring the connection to Alibaba Cloud OSS buckets. Storage gateway is installed in a datacenter and is connected to OSS directly. 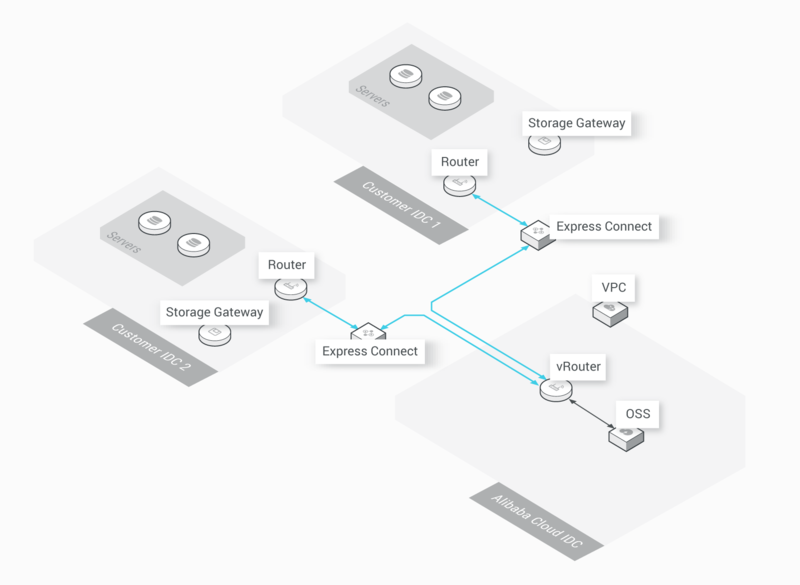 The storage gateway supports industry standard protocols such as NFS and iSCSI to provide a seamless, low-latency, and secure connection between your on-premise environment and Alibaba Cloud OSS.